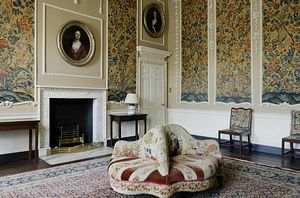 Wallington Hall in Northumberland has a number of interesting claims to fame. It has the largest farm shop on any National Trust property, worthy of a visit in its own right. It is also one of the most visited properties in the National Trust with more than 135,000 visitors each year. Food lovers will drool over the smoked Craster salmon, meat, game and organically-milled flour which can all be bought in the farm shop. The Wallington sausages, succulent gammon and cured bacon all come from the locality along with a range of tasty regional cheeses, fresh cream, milk and eggs. Freshly made baked goods include quiches, scones and cakes made in the Wallington restaurant. the style of Capability Brown, and no wonder. This genius in garden landscaping actually attended school at the estate village in the early 18th century. Perhaps he earned his pocket money working in these very gardens as a boy! This fashionable stately home was built in 1688 when Sir William Blackett bought the existing house and land. It has seen many generations of the Trevelyan and Blackett families over the centuries. The more recent renovations were carried out by Sir Walter Calverley Trevelyan in 1849. The formal exterior belies a decadent and resplendent interior full of rococo designs and furnishings. They clearly show the wealth and status of the Trevelyan family including valuable china and silverware in the dining room and two grand pianos in the huge drawing room. The fabulous plasterwork was designed by Pietro Lafrancini in 1741. 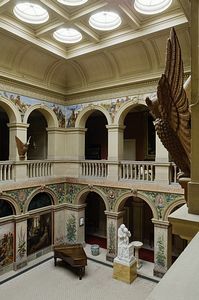 The pre-Raphaelite central hall transports visitors to Italy, as indeed it was intended to. Once an open courtyard, the glass roof was added in 1853. The walls are decorated with huge paintings of the history of Northumberland by William Bell Scott. the walls of the parlour. The bedrooms are a museum in their own right and includes a cabinet of curiosities collected from all around the world in the days before jet travel. 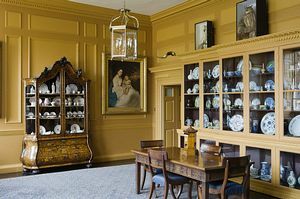 Still more treasures await visitors to Wallington Hall with the collection of dolls' houses bequeathed to the National Trust by Mrs. Bridget Angus. There is also a collection of toy soldiers depicting the Battle of Waterloo, no doubt a favourite of George Trevelyan who became an eminent 20th century British historian. Outside there is an entrance gate with a clock tower, a carriage house with a collection of horse-drawn carriages and an information centre. Beyond the house the estate unfolds with a beautiful walled garden, now used for a plant collection with lawns, water features and a conservatory. Footpaths and extensive trails lead through the natural park setting and the woodland to the lake. The wider parkland beyond is home to rare red squirrels which can be watched from the wildlife hide. The Wallington Estate was donated to the National Trust in 1941 by Charles Trevelyan and the family continue to live in their own private quarters of the house. 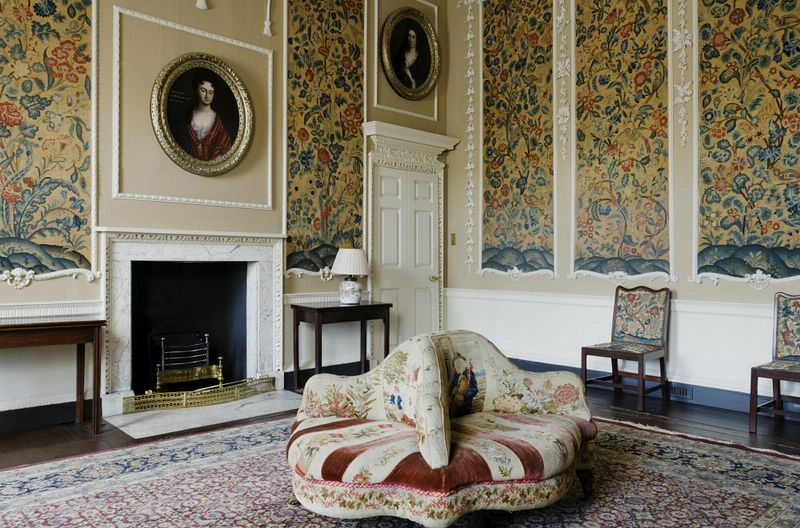 The bequest included Wallington Hall and gardens, 15 farms and the nearby village of Cambo.